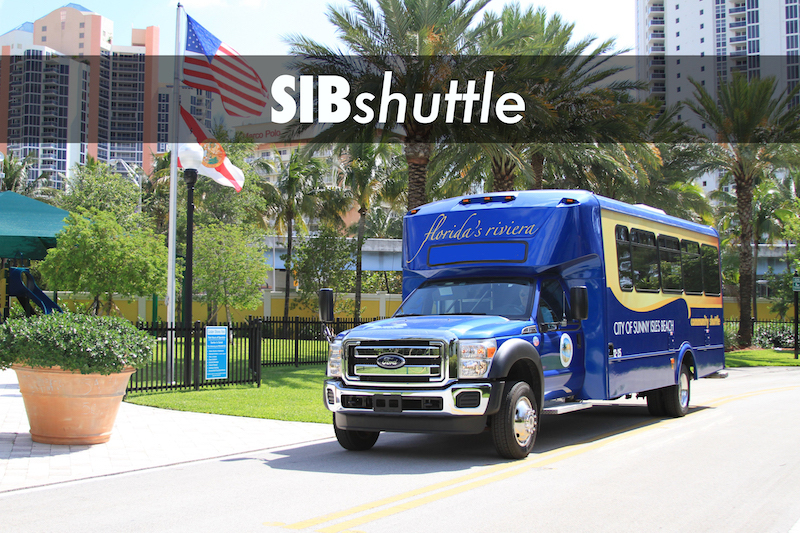 Get around Sunny Isles Beach with the SIBshuttle, a free community shuttle service. Running three lines, seven days aweek, the SIBshuttle also conveniently connects residents and visitors with neighboring cities: Aventura, Hallandale Beach and North Miami Beach. Call 305.741.0907 to check shuttle time of arrival for a specific bus stop. Install the “SIBshuttle” mobile app to check estimated times of arrival and stop locations. Miami-Dade County offers public bus, train and mover transportation services throughout the county. Miami-Dade Transit buses make several stops in Sunny Isles Beach, including Routes E, H, K, S & V. The Miami-Dade Metrorail system offers 23 accessible Metrorail stations one mile apart from Kendall to northwest Miami-Dade, including the Miami International Airport. For more information on Miami-Dade Transit Services and schedules, visit www.miamidade.gov/transit.